Having a total area of 162 hectares, Beijing International Sculpture Park is one of the renowned theme parks in China, having a sculptures theme. Located in Shijingshan District of Beijing, the park was ranked in the 10 Fine Parks in Beijing the very year it was opened to the public which is September 2002. 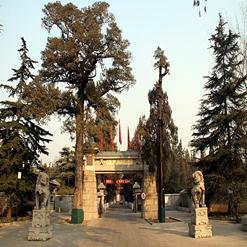 Visitors get to explore urban cultural constructions of Beijing where the park is an exhibition based park, showcasing international sculpture collections. The park has become an international standard sculpture park and is renowned among national as well as international visitors.